There will be times in our lives when we want to give up. We may be tired and restless or frustrated and discouraged because something is not going our way. We may have tried countless times, only to receive the same results. We may even give it our best shot, only to find we failed. But when those discouraging and trying times come, don't quit. Don't give up. 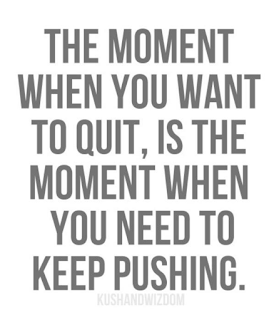 Just keep pushing through. If you continue onward you will see improvement. You will watch yourself progress through challenges you never thought you could overcome. Don't quit. 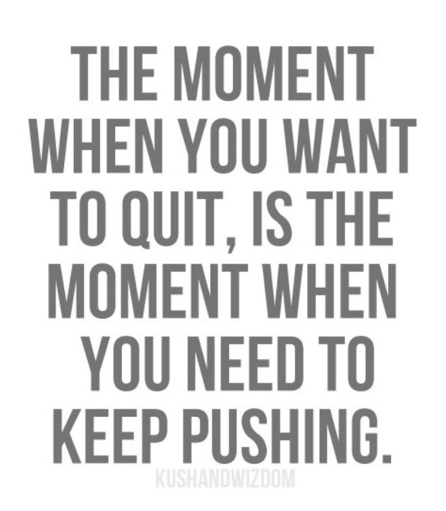 Just keep pushing.